The trustee of a Florida trust has many of the same duties as the personal representative when he or she probates a will. The best Florida trustees will understand their duties. When the decedent’s assets are held in a testamentary trust when he or she dies there must be a trust administration. Each Trustee can have a Trust Administration lawyer help them administer the trust properly under Florida law. According to Florida Statute 736.0801, upon acceptance of a trusteeship, the trustee is expected to administer the trust “in good faith” according to the terms and purposes of the trust, and in the best interests of the beneficiaries. This page will explain some of the duties of the trustee, but is not an exhaustive list. A trustee is expected to take control and to protect the trust property. This means the trustee should change the title of any accounts from the decedent as the original trustee to the trustee administering the trust. It also requires the trustee to preserve the trust assets during the trust’s administration. A trustee also has record keeping duties when administering the trust. The trustee has to keep clear and accurate records of the trust administration. The trustee must also not commingle any trust property, which means he or she must keep trust property separate from the trustee’s personal property. The trustee is also required to ascertain the asset value of any property held in the trust upon the day of death of the decedent. The trustee is also expected to pay taxes and to pay the creditors of the decedent. The trustee has to file tax returns and pay any owed taxes before he or she can distribute the trust property to the beneficiaries. Florida also requires the trustee to pay or contest any claim, or in the alternative to settle the claim, against the trust. This means if a beneficiary, or another person with legal standing to bring a lawsuit, challenges the trust, then the trustee must defend the trust in the lawsuit or work to settle the issue. Many revocable and irrevocable trusts are designed to end once a decedent or another person passes away. If the trust has a limited duration, then the trustee is required to wind up the administration of the trust. This is similar to the process of winding up a company or a partnership. The trustee takes the necessary steps to end the trust such as administering the assets to beneficiaries and filing the necessary paperwork to bring the trust to an end. Since a trust administration is performed outside of the probate court, a trustee must be discharged to complete the administration. We recommend the trustee to obtain consent from trust beneficiaries to be discharged, and to receive a waiver from liability that states the beneficiaries are satisfied with the trust administration. One major difference between the two processes regards how long creditors have to make a claim. During the probate process, creditors are given 3 months under Florida law to make a claim against the estate. Florida law gives creditors 2 years to make a claim in a trust administration. 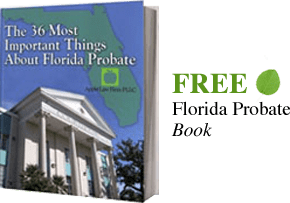 The difference can most likely be attributed to the fact that probate is a much more formal process run by Florida courts, whereas the trust administration is done outside the court system. If you would like a trust that you are associated with reviewed please, CONTACT our Florida Trust Lawyers by email or call us at 904-685-1200 to discuss your situation today.